When you plan your child’s birthday party, you plan for everything to go right. You don’t plan a child’s party with the expectation that something will go wrong or that you will have to solve a problem during the party. You expect for every kiddo to have fun, all the games to be a hit, everything to move in a timely manner, and for it to end with no drama. But kids will be kids and that doesn’t always happen. 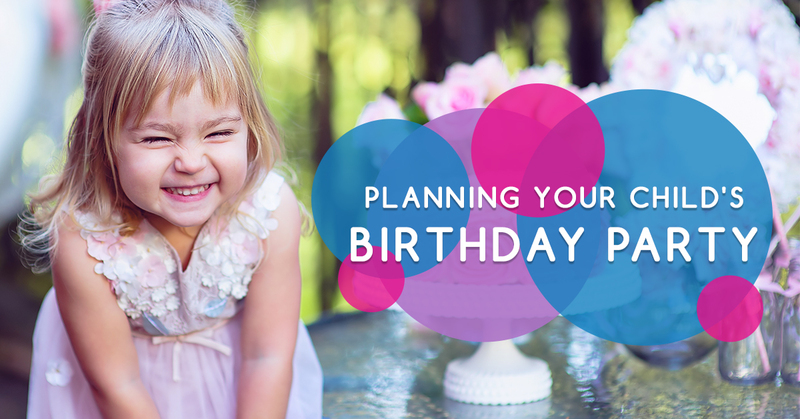 When it comes to planning your child’s birthday, while you may not plan for problems, you should be prepared to handle them, or better yet avoid them altogether! While this can be a challenge, there are a few ways you can avoid the most common birthday party problems. At Jumpin’ Jamboree in Doral, we like to consider ourselves birthday party experts. Because of this, we wanted to help ensure you are prepared and ready to avoid common party problems before they arise. 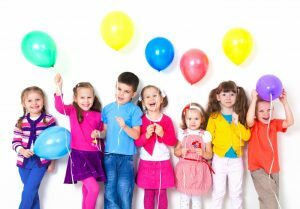 While you can simply avoid a majority of these problems by planning your child’s birthday party at Jumpin’ Jamboree in Doral or Kendall, we wanted to give you some tips for avoiding common party problems. 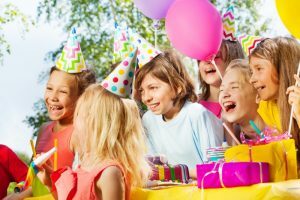 Read this blog to learn more and get ready to throw your child the best birthday party ever (or at least a problem free party)! While your child may want to invite the entire class, and those popular kids that get invited to every party, you will want to keep it small and only invite your child’s best friends. This will ensure that everyone has a good time and your kiddo isn’t spending their party trying to impress other kids. It can be common for kids to invite a ton of different people to their birthday party, even kids that they are not really friends with, to try and make themselves seem cooler or more popular. But where is the fun in that? Your child should invite only their friends they are closest with and it is a guarantee that the party will be more fun! While you want to make sure every child has a good time at the birthday party, you don’t want to leave activity options open for everyone. Have your child choose what they want to do before the party so that there is no fuss about it later on. If any of the kiddos try to argue with the activity just remind them that the birthday boy or girl gets to pick what they do and this activity is what they picked. That usually puts an end to the bickering pretty quickly. If there is one thing kids respect, it is the word of the birthday kiddo. Let your child pick the games, activities, dessert, and other things that can often become an argument among young children. When you plan a party with us, our inflatable playground will be a popular choice among all of the kiddos, which saves you from planning any activities. This may seem like the opposite of what we just told you to do, but it is a good idea to have some options and a variety of games and activities to keep the kids entertained. Some games may not last as long as you originally thought they would. Maybe the activities you planned are not as fun as you had hoped. If you notice that the kids are bored or the game is quickly coming to an end, you can have a few different options on hand that they can choose from (if they can all agree). This will help keep everyone entertained while switching it up to make sure everyone is having a good time and enjoying the party. You don’t want the kids to just be sitting around bored or arguing about what to do next. Having a few options on hand is a great way to get through the party without any minor hiccups. The last thing you want after planning and throwing your child’s birthday party is to clean up a huge mess that those crazy kids will leave behind. We suggest hosting the birthday party outside, at a park, or at a venue that isn’t inside your home. Kids have a tendency to act like mini tornados. They will tear your house apart and will make messes that you didn’t even think possible. Having the party in your backyard instead is a great way to keep the mess out of your home and avoid major disasters. If a kid spills ice cream in the grass, simply hosing it down will get the job done, whereas, inside the home, this would require a much bigger cleanup. Another great idea is to plan it at a venue where they will clean up for you. But what venue would do that? Well, Jumpin’ Jamboree would! So, there is another great reason to host your child’s birthday party with us! One of the most frustrating things that parents have to deal with when throwing their child a party is other parents who do not RSVP in time. Even RSVPing the day before does not leave you enough time to properly plan. While we can’t make your kid’s friend’s parents more organized and prepared, we can give you some tips to ensure they RSVP in time. First, add a line on the invitation in all caps that read “RSVP no later than Friday” (of course the day may change based on when your party is). Make sure to add that statement in flashy colors and all capital letters to make sure it is not missed by any of the parents. Second, tell them to respond whether their child can attend or not. This will help you get a better idea of who isn’t coming. This way, you can plan for the few kids that did not RSVP and have a few extra goodie bags and treats just in case they show up. When it comes to planning a kid’s birthday party, you will want some help. Having five or more kids running around nonstop can make it hard to keep track of each of them. Add getting games, activities, food, and other party things prepared to the mix and you are bound to have a few panic attacks over a missing child (don’t worry, they were just going down the slide). You will want to have someone there to help you throughout the party, whether it is your spouse, another parent, or your sibling. Having someone there to help you can make it easier to keep an eye on all of the children while doing the normal birthday party tasks. Just another side note, if you plan your child’s birthday party at Jumpin’ Jamboree, our staff will always be there to help you. You will have at least one Jumpin’ Jamboree party host that will help you throughout the entire party. We also have staff on the play floor at all times to ensure all the kiddos are safe while playing! There are many things that can go wrong during your child’s birthday party. From small fights to big messes, but it isn’t likely that you were planning for these problems. Hopefully, this blog has helped you learn some tips for avoiding some of the most common birthday party problems. 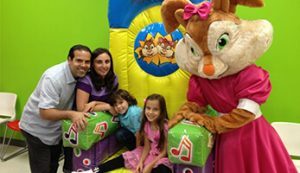 If you really want to avoid all of these problems, however, simply plan your child’s birthday party at Jumpin’ Jamboree in Doral or Kendall is a great choice. Our party packages make it simple for you to plan the perfect party. Our inflatable playground and arcade games will keep all of the kiddos entertained throughout the entire party. Our staff will help keep everyone safe and everything organized. And we will clean everything up for you. Learn more about our party packages and be sure to contact us with any questions you may have!